Team owner Robert Kraft lent out the New England Patriots’ team plane, shown here in a file photo. Students and families from Parkland, Fla., were transported to Washington, D.C., ahead of the “March for Our Lives” against gun violence this Saturday with the help of the New England Patriots. On Thursday, team owner Robert Kraft provided the team’s official plane to fly the families of the 17 victims of the Marjory Stoneman Douglas High School shooting and some of the students who were injured to the nation’s capital for the event, Patriots spokesman Stacey James said. James said Kraft decided to lend the plane to those affected by the shooting after former Arizona representative Gabrielle Giffords and her husband, Mark Kelly, reached out to him and asked for the favor. Kelly and his wife founded “Giffords,” a gun violence prevention organization, after Giffords survived being shot in the head in Arizona during a public event in 2011. According to the Washington Post, Kelly said the students wanted to get to Washington for the march, so they helped to make that happen. Saving lives is a choice. Here’s how Mass. is making that choice and other states could do the same when it comes to gun control. A special report from Globe Opinion. The plane took off from Fort Lauderdale Thursday, James said, and will bring the students and families back to Florida following the march. He was not aware of any Patriots players on the flight. Kraft was not with them. “No report other than they took off and everyone was happy,” James said. 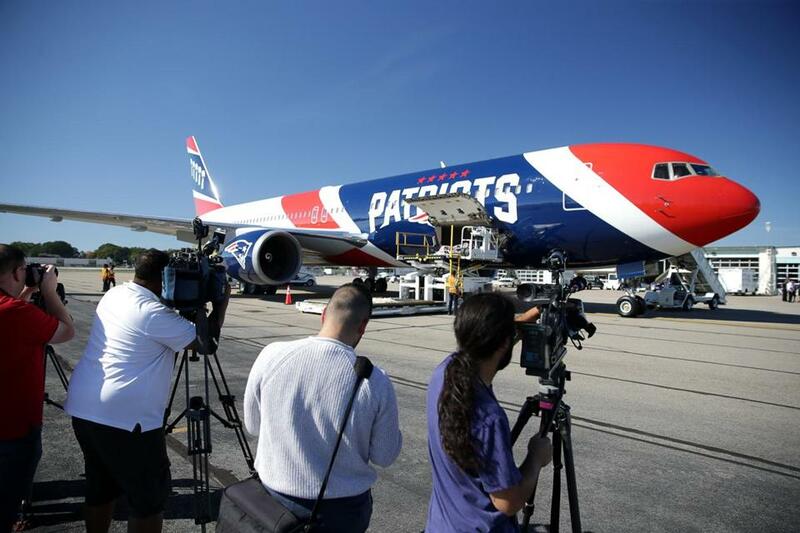 The Patriots debuted the so-called “AirKraft,” a Boeing wide-body 767 that features the team’s logo and an image of five Vince Lombardi trophies on its tail, in 2017. It’s one of two that the team owns. Some of the most prominent student activists from Stoneman Douglas were in Cambridge earlier this week to participate in a panel at Harvard’s Kennedy School of Government about the gun-control movement building across the country. Thousands of people are expected to participate in the march in Washington to call for stricter gun control measures Saturday, according to event organizers. Similar protests are taking place around the country the same day, including in Boston. We are headed to DC! Hope to see everyone there @AMarch4OurLives We @ShineMsd are so thankful to the @Patriots for lending their plane to us. Let?s make history together this weekend!! Thank you so much @Patriots for your generosity! We are so grateful to have been lent your plane to fly up to Washington DC. See you at the march! !